When the course opens each season you will want to safeguard your home, personal property, and loved ones. As a consideration we have posted some suggestions below. We strongly suggest guests and neighboring homeowners acquaint themselves with all our safety policies below and our full Golf Course Policies and Procedures. For new move-ins, please be aware that only registered golfers are allowed on the course property. Please keep children and pets safely off the course and parking lot at all times. Please be aware bicycling and skating on the cart paths and the parking lot are unsafe and are not permitted. We strive to maintain safety and a harmonious balance between community recreation and the needs of our neighbors and guests. Thank you for your understanding of these safety issues. We are grateful you are our neighbor and we value your support. Look for full listing of course policies at the bottom of this page. 2.3 SAFETY: All Guests are responsible for their own safety. Remuda will not be responsible for negligent Guests who endanger others physically by recklessness. It is the responsibility of all Guests to know their own physical limitations. If they are not physically able to negotiate uneven terrain, random bunkers, bodies of water, etc. or safely hit golf balls they are required to stay off the course. Guests who are intoxicated by drugs or alcohol, including prescription drugs, must discontinue play and may not operate golf carts. Below you will find a letter of Damage Prevention Suggestions. In addition to this letter, homeowners are encouraged to acquaint themselves with our full Golf Course Policies and Procedures. Thanks for your time spent reading through these suggestions. There are many means of providing protection for your family and property. The following methods are addressed in this letter: Insurance, netting, fencing, awnings, shutters and sun screens, tree planting, and ball-resistant building materials. First, insurance can be set up to cover either the back side of a home, or on the entire home. Most everyone has some type of home insurance and it may only require adding property damage to the policy, or an umbrella policy. If you don’t already have an agent, I would suggest agents Brian Hawks of Allstate – Five Points 333 E. 2nd Street, Suite 3 (801)393-6511, or Shawn Iverson of The Insurance Center of Ogden, 3020 Washington Blvd Ogden, UT 84401 (801) 622-2626 www.insctr.biz. In my opinion, this is the most cost effective option, rather than maintaining a large net spanning the back and side of your yard, for example. Second, there are some homeowners who have found netting solutions for protection. Online there are many providers, (www.unique-sports.com, www.gourock.com, www.usnetting.com, www.cascadenets.com, www.reddennets.com, www.sportnetting.com, www.seamarnets.com, www.wittekgolf.com.) Netting is a highly effective barrier against balls hitting your house directly, but keep in mind that there is still a chance golf balls can pass over the net or angle through neighboring properties. The driving range has sixty foot nets, for example, and many balls still go over the top of it. Fourth, awnings or window roll-down screens which can be effective at stopping errant balls and some can be rolled up or taken off during times when there is no play on the course, such as winter. Contact Out West Awning, Craig Bingham 393-6839. They are located off of 1900 W near the 24th street exit. There is also Kool Breeze located at 3220 S. 1900 W. in Ogden, telephone (801)627-1020. Budget Blinds of Northern Utah, Inc. 5790 W 4275 S, Hooper, UT 84315 (801)732-6846 has removable screens that mount on the outside of the window which serve multiple purposes. They can stop golf balls and they shade the inside of your home while still allowing you to see outside. Large retail stores like Home Depot, and Lowe’s also have varied types of awnings, shutters, and window screens. Fifth, trees are available at nurseries, such as Jerry’s Nursery – Farr West (801)782-4149, Alpine Gardens – Perry (801)399-4300, Valley Nursery – South Ogden (801)479-6060 and seasonably at large retail stores such as Home Depot, Wal-Mart, etc. Our opening season we gave away more than 1,000 trees and shrubs to neighbors to use in their yards for the purpose of screening balls. Homeowners can purchase trees in any height and density to screen their houses from golf balls. Sixth, if you are interested in window tinting (prevents glass shattering), talk to Glamour Glaze 6022 S 1900 W; Roy UT 84067; (801)776-846. They have film that can be applied to windows for tinting purposes and also for added security. There are differing grades of this film, the most commonly used type will not prevent a window from being broken but it will prevent the ball from entering the home and doing even more damage. Glamour Glaze has demo’s you can look at in their shop. We hope you discovered some useful ideas in this letter which you can implement at your property. We care about you and the safety of your family and property. For the benefit of everyone, please let us know of any other worthwhile suppliers we can add to this letter. Never walk out onto the driving range to pick up a golf ball, even if you hit it. Just use a new ball and hit again. Never step in front of the mats or grass hitting areas or you could be struck by a ball. Also, stay well away from others who are hitting golf balls at the driving range, you could be accidentally struck by their club on a back swing. Look both ways when stepping across a golf cart path, or when passing across the street in a designated cart path cross walk. There are fast moving motorized vehicles at a golf course such as mowers and golf carts that may not see you. Be very cautious in the parking lot, there are cars, trucks, and golf carts backing up all the time and they may have a hard time seeing you. Do not run in in a parking lot or ride bikes or skates. Read through our full course safety policies and terms of course use. Etiquette has to do with manners. Whether you are talking about etiquette at the dinner table, in school, in your family or out at the movies with your friends, etiquette is important. It is through the courtesy we show to other people that we communicate our respect for them and that we show them how important we think they are. Golf etiquette is an extremely important part of the game of golf. The etiquette golfers show to one another out on the course is one of the things that distinguishes golf from all other sports. Golf is a game that requires a lot of concentration. If you are trying to make a putt, or hit your tee shot into a narrow Fairway, it will be much more difficult if someone is laughing, rattling their clubs, or running around the tee or green. There are a few rules of etiquette that apply in all situations on the golf course and the practice area and there are other rules of etiquette that are particular to certain circumstances, especially on the green. Below are some of the general applications of golf etiquette. Be very careful not to damage or make marks on the short grass areas called greens. Don’t hit the surface with your clubs or make cuts or divots. Do not damage or step on the edge of the cup in the green. The golfers after you want conditions just as good as you had them. Be careful not to scuff your shoes on the greens, the grass is very sensitive and it is bad etiquette to leave marks for the next golfer to play on. Be careful not to step on golf balls or putter heads an make marks in the greens. Locate any marks you or your ball has left on the green and fix them with a divot tool. It is also good etiquette to fix one or more divot marks of previous golfers. Quiet is required on the golf course. Golf requires a lot of concentration, and even if the people in your immediate group don’t seem to be bothered, there are other groups all around you. So keep your voice down. Walk, don’t run. Running around is annoying, distracting and causes damage to the course. Walk quickly, but lightly. Do your part to instruct young children the difference between a golf course and a park. Plan your shot before it’s your turn (don’t wait until your turn to start thinking about what club you will hit, or whether to go over the water or lay up to it — be ready in advance). As you approach the green determine in which direction the next tee is located and leave your clubs (or park your cart) on that side of the green. When playing from a motorized cart, if one player is on one side of the fairway and the other player on the opposite side, drop one player off at his or her ball with a choice of a few clubs, then drive to the next player’s ball and meet farther down the fairway, after both have hit their shots. Keep up with the group ahead of you. As they leave the green you should be ready to hit up to the green. Don’t worry about how far ahead you are of the group behind you, focus on staying a reasonable distance from the group ahead. If you spend more than five minutes hunting for a ball it is time to move on. Searching too long slows down then momemtum for you and others. If you lose a lot of golf balls consider using “experienced” golf balls or more inexpensive golf balls so you don’t feel bad for leaving them behind. Minding your “Pace of Play” will help you stay with the group ahead and you will be sure not to delay any groups playing behind you. At the same time you are being careful to stay with the group ahead, you must also be careful not to be so close that you hit your ball into that group. If your ball was to hit one of the players in that group it could be very tragic, so be careful that all golfers are out of range before you hit. Sometimes there are golfers who get very impatient if a group is playing slowly ahead of them; that is understandable. However, it is never acceptable to try to speed up that group by hitting a ball at them to send them a message that you are getting tired of waiting. If you are tired of waiting, walk ahead to their group and ask them to speed up play, but never hit into them. Playing Through another group is one of the most difficult and contentious parts of golf. It is difficult because, often, there is an implication that the group who is “being played through” is guilty of slow play and they typically resent that implication — even if it’s true. So if you are going to ask another group to allow you to play through them, do so in a courteous manner and at a convenient time in the round. Be sure there is room for you to properly play through before you ask permission. (If there is another group immediately ahead of the group you are asking, they will naturally decline to let you through and they will be annoyed that you bothered them.) Be courteous and quick as you hit your shots in playing through. If you hit bad shots (which often happens because there is extra pressure when you are playing through), don’t take any Mulligans, just drop a ball near where yours was last seen and play on. If you are playing slowly (more than a hole between you and the group ahead of you) and you think the group behind might want to play through, invite them to do so. It might be convenient when you are on a green. Wave them up, stand aside and let them hit up to the green. As they are walking up to the green you can putt out. Then allow them to tee off before you on the next tee. If you are not playing golf in an actual tournament, or other sanctioned event, it is okay to play “ready golf” Ready golf means the golfer who is ready to hit can do so even though he or she may not be farthest away from the hole. Just agree ahead with the others in your group that you will play ready golf when it makes sense. That way they won’t think you are just unaware of the rules. It is good courtesy to acknowledge that you are playing ready golf to move things along. Ready golf can really help to speed things along, but before you hit be sure that everyone in your group knows that you are going to hit and that you are aware of where everyone in your group is. You certainly do not want to hit someone who is not paying attention, nor do you want several people hitting at one time. To drive a golf cart on the course you need some common sense and a great deal of respect for the course and the players around you. If you are driving a motorized cart, drive at a moderate speed and keep your eyes open for other golfers. Keep carts on paths at all times — this is a rule that courses use if the ground is very wet and they don’t want the tires of the motorized carts to damage the fairway grass. 90 Degree Rule — this rule requires you to stay on the cart path until you are even (at a 90 degree angle) with your ball. Then you may drive your cart straight out to your ball. When you’ve taken your shot, drive straight back to the cart path. Adhering to this rule minimizes damage to fairway grass as well. but still allows golfers to drive right up to their golf ball. Personal Carts – Must be registered, and season trail pass bought. Tires must conform to course turf tires. Must check in with the clubhouse before driving on the course. Frost and other obstacles must be avoided. Minors may not drive personal carts. Always park on cart path. Do not park on driving range tees, course tees, course greens, or other hazards. If you hit your golf ball into a neighbors yard let it lie there. It is bad etiquette to step on their lawn to retrieve your ball and it can cause trouble between you, the homeowner, and the golf course. Neighbors yards are considered out out bounds and you should play another ball. If you hit and damage a house or other personal property it is proper to leave a note or contact the clubhouse so you can recompense the owners. Golfers are responsible for their own errant golf shots. It is not the responsibility of the golf course and it is not the fault of the homeowner for living on the course. Without them there may not be a golf course! Remember golf is a lifelong and socially interactive game. If everyone practices proper etiquette on the course more focus can be spent on perfecting your skills and enjoying time spent with friends and family. OFFICIAL RULES, REGULATIONS, POLICIES AND PROCEDURES For All Guests of Remuda Golf Course and Crane Field Golf Course. 2.1 GUEST OBLIGATIONS: Any person entering the course premises at 2600 W 3500 N Farr West, Utah, or 3648 W. Cranefield Rd. (2650 N.) Clinton, Utah, including the course grounds, driving range, clubhouse, parking lot, maintenance area, etc. are considered Guests and are required to accept and be subject to these rules, regulations, policies, and procedures governing the premises. All other people are prohibited. All course rules, regulations, policies, and procedures are available for review at the clubhouse front desk, or online at http://www.remudagolf.com. Regardless of whether a Guest has read or understood these rules, regulations, policies, and procedures, each Guest is still responsible for abiding by them while occupying space on the premises. Enforcement of said rules, regulations, policies, and procedures accomplished by course management and/or assignees. 2.2 PRIVILEGES: All Guests must abide by these rules or Guest privileges may be revoked for noncompliance. In the event of revocation of privileges, fees paid shall be non-refundable. 2.3 SAFETY: All Guests are responsible for their own safety. The course will not be responsible for negligent Guests who endanger others physically by recklessness. It is the responsibility of all Guests to know their own physical limitations. If they are not physically able to negotiate uneven terrain, random bunkers, bodies of water, etc. or safely hit golf balls they are required to stay off the course. Guests who are intoxicated by drugs or alcohol, including prescription drugs, must discontinue play and may not operate golf carts. 2.4 BORDERING PROPERTIES: Bordering properties are out of bounds and Guests are not permitted to enter neighboring properties from the golf course playing area. (This includes driving carts into neighboring properties or entering yards for the intent of retrieving golf balls.) Guests who leave the golf course grounds abdicate any responsibility of the golf course and must be held responsible for their own actions. Golfers who leave the course property may forfeit their golfing privileges. Golfers who forfeit golfing privileges will not be compensated for green fees or cart rental. 2.5 DAMAGES: All Guests are solely responsible for damage to course buildings, equipment, and neighboring properties; including damages incurred by errant balls, motorized golf cars, golf clubs and other golf equipment. Guests are solely responsible, financially and monetarily, for reimbursement of all such damages incurred. Guests will be solely responsible for personal injuries inflicted by errant balls or motorized cars, etc. Guests are solely responsible financially for compensation of any accidents they cause (either on purpose or accidentally.) Guests are required to immediately report damages and injuries to personnel to clubhouse control desk. 2.6 VIOLATIONS/RULE INFRINGEMENT: Violations of rules and regulations, rudeness, assault, or unacceptable behavior towards the golf staff or other Guests may result in immediate revocation of golf privileges, expulsion from the course and possible permanent revocation of golf privileges. Violation details are recorded by course management and serious incidents are reported to City officials and/or County Public Safety Officials. Complaints from neighbors will be recorded and provided to police offices along with any other information gathered by course employees. 2.7 REGISTRATION: All Guests must register with the starter before beginning play. Only registered golfers are allowed on the course. Golfers must have their own bag/carrying device and clubs. Caddies, walkers, joggers and other unauthorized persons found trespassing will be charged an 18-hole greens fee. Non-golfers who register and pay for entrance to the course are allowed. 2.8 PRIVACY: Personal information collected by the course will not be distributed to the public. Information will only be provided as requested by law enforcement or written legal requests. Contact information may be used by the course to promote events and products of at the sole discretion of management. 2.9 ADDITIONS: Additional rules and regulations may be established as deemed necessary for the proper maintenance and supervision of the facilities managed and operated by the course. Guests will also be made aware of those rules which pertain to them by newsletter, bulletin board, World Wide Web, and other possible means. 2.10 MOTORIZED GOLF CARS: Motorized golf cars may be allowed on the course, provided they are operated by a person possessing a valid driver license over the age of 18, and provided they are operated with due care and caution. Motorized cars are prohibited on public streets, except on designated crossings. Responsibility for proper usage lies with the operator, improper operation of motorized cars may result in the operator forfeiting future car rental privileges. At no time may an unlicensed person be allowed to rent or operate a motorized car. At no time during play shall more than two individuals and two golf bags occupy a motorized car. Guest owned golf carts are permitted on the course, but their use requires a paid trial fee and registration at the clubhouse. Personal golf carts may not be driven on to the course after hours or across fairways before or after rounds. Guest owned carts should enter through the parking lot and not drive across the course while traveling to or from nearby homes. 2.11 FOOD AND BEVERAGE: The course is a retail seller of food and beverages. Personal coolers, picnic baskets, lunch boxes, and any other outside food and beverage are prohibited on the premises without written permission. Guests may not bring food or beverages of any kind into the clubhouse without written approval of the General Manager. Alcohol sale is not permitted in accordance to Farr West City ordinance, and outside alcohol is not permitted on the premises without written permission. Mobile phone orders may be placed to the clubhouse kitchen to be ready upon completion of rounds. (Calling 1-2 holes before completion is recommended for food orders.) Food and beverage services operate in accordance within business hours deemed by management. 2.12 PARKING/TRAFFIC: Overnight parking is not allowed without written permission of the course. Area traffic and parking signs are to be observed at all times, including posted speed limits. The posted speed limit on the main access road is 25 mph. Designated fire lanes are to be kept clear at all times. Vehicles in unauthorized areas may be towed at owner’s expense. All Guests must drive and park motor vehicles within designated areas in accordance with applicable laws and posted regulations. Parking in the parking lot area is undertaken at the driver’s own risk. The course is not responsible for personal injury, property theft or damage. Vehicles which are parked in reserved, restricted, or unmarked areas may be removed at the expense of the Guest. Bicycles, motorbikes, all-terrain vehicles, etc., including roller blades, scooters, skateboards, etc., are not permitted on the golf course, cart paths, or driving range at any time. 2.13 PERSONAL GOLF INSTRUCTION: Golf instruction is available upon request. Instructors not specifically designated by the course are not permitted to use premise for commercial purposes. 2.14 DRIVING RANGE: The hours of the driving range are posted in the clubhouse. The driving range may be closed by the controller at any time to permit recovery of range balls, or due to inclement weather or poor turf conditions. Each player using the driving range must first obtain range balls, tokens, or e-keys from the pro shop. Range balls are for use on the driving range only and are not permitted on the golf course. Motorized cars are not permitted on the range tee area. Parking of golf cars is allowed in designated areas only. For safety reasons, range balls must be hit from designated areas only; no hitting is permitted from the rough or sides of the range. 2.15 CLUBHOUSE RENTAL: Guests are encouraged to reserve clubhouse banquet room for receptions, birthday parties, holiday dinners, company parties, family gatherings, dinner dances, etc. Kitchen facilities are only available to caterers with active food handling permits. 2.16 GRATUITIES: Tipping is the sole discretion of Guests. Guests are encouraged to show their appreciation of employees’ services by contributing to the annual employee funds set up by management. 2.17 CHILDREN/MINORS: Guests are directly responsible for the actions of their children. No one under the age of eighteen (16) is allowed to operate motorized golf cars without written consent. No one under the age of sixteen (16) is permitted in the Men’s or Women’s locker rooms unless accompanied by an adult. Minors under the age of eight (8) must be accompanied on the property at all times by an adult. Management reserves the right to limit the use of certain facilities by minors and all Guests. 2.18 OPERATING HOURS/DAYS: The facility hours and days of operation will be established and published. The course reserves the right to modify the hours and days of operation as management deems necessary. 2.19 GENERAL POLICIES, RESERVATIONS AND PROHIBITED ACTIVITIES: The following policies, reservations, and prohibited activities apply to all persons on premises, including Guests. The course is privately owned and operated. Guests using the facilities are required to follow rules and regulations set by general management, including all local, state, and federal laws. Course managed facilities shall be utilized at Guest’s own risk. Guests are required to check-in prior to golfing. Guests must read and accept posted rules, regulations, policies, procedures, and suggested etiquette of the golf course and all its facilities. Guests understand that the course and affiliates are not responsible for any personal injury or personal property damage that occurs on the premises. Guests are responsible for any and all of their own damage to the facilities and all portions thereof, excluding normal wear and tear. The course reserves the right to invoice Guests for cost of repaired damages. Any accident or property damage, regardless of the nature, must be reported to management immediately. Sales and distribution of food and beverage or other commercial activities are not allowed without the express written consent and contractual agreements with Remuda. Any unauthorized use of course facilities and/or utilities, fuel, etc. is prohibited. Illegal activities are prohibited and will result in immediate eviction from the premises. The course shall have the right and power to prohibit any games, sports, or other activities on course property, which it may, in its sole determination, consider harmful to the interests of the Guests, employees or management. The course also shall have the right to expel (temporarily or permanently) any guest considered by management as harmful to the interests of course Guests, employees or management. Solicitation, petitions and commercial advertisements posted or circulated on the premises is prohibited without written permission. No Guest, except those authorized by the Golf Course Superintendent, shall be on the golf course after dark or after the closing hour. No Guest shall be on any green when prohibited by the Golf Course Superintendent. No Guest shall litter the grounds with waste material. No Guest shall practice in any area except the driving range or practice green. No Guest shall drive or park vehicles on the grounds, except those authorized by the Golf Course Superintendent. No Guest shall be on the grounds during the regular golf season except after properly registering with the clubhouse control desk. Others allowed on the grounds include employees performing assigned duties, law enforcement personnel in connection with a law enforcement activity, and persons authorized by management. All others are prohibited. No Guest shall bring animals, including dogs, on the grounds of the golf course. Guests must comply with all environmental laws, rules and regulations. The course will prosecute and fine (up to $1000 per injury) any Guest found damaging the course grounds or vandalizing building, equipment, or fixtures in any way. Outside beer and other alcohol may not be brought on to the premises, in accordance to city and state law. Alcoholic beverages may not be sold by guests on the premises. Open cooking or campfires are prohibited unless specifically approved, in writing, by Weber County Fire Marshal. The use of electric, open flame or space heaters is prohibited unless specifically approved. Disposal of trash or solid waste materials is allowed in designated areas and receptacles only. Hunting and firearms are not allowed unless specifically approved, in writing, by course General Manager. Horseback riding is not permitted anywhere on the premises. Under no circumstances is smoking permitted inside the clubhouse or maintenance building or near fuel containers. Unauthorized motor vehicles are prohibited. Guests may not post or exhibit any printed material such as posters, signs, or advertisements without prior written approval by management. Course management reserves the right to expel from the property anyone displaying inappropriate behavior, drunkenness, disobeying the Rules, Regulations, Policies, and Procedures or creating excessive noise or disturbance. The course reserves the right to use the name, image, photograph, likeness or any other reproduction, taken or acquired, of any visitor or facility user, for publicity purposes without notifying or compensating individuals therein. Use of the course name, logo or stationery for any purpose is prohibited without prior approval. The course reserves the right to revoke play privileges of anyone violating written rules and regulations. Motorized cart fees and greens fees will not be restored. 3.1 TEE TIMES: The course accepts individual tee-time reservations up to six (6) days in advance by phone at (801) 731-7200, online at www.remudagolf.com, or in person. Pre-booking tee times (beyond seven (7) days in advance) is allowed for large groups and tournaments as determined by the course. Reservations must be made with at least one player’s name and phone number. A Guest who excessively fails to cancel a reservation will not be allowed future reservation privileges. The course reserves the right to refuse any guests from making tee times. The course reserves the right, at the starter’s option, singles and twosomes will be paired into threesomes and foursomes during busy periods. Guests must register before their tee time and should be in the vicinity of the first tee at least ten minutes before start time. 3.2 CANCELLATION: Please notify the clubhouse of the cancellation of a tee time as early as possible. Cancellation should be at least 24 hours before the scheduled tee time so that someone else may use the tee time. 3.3 RAIN CHECKS: In the case of inclement weather, rain checks may be issued if the golfer has not yet completed four (4) holes of play. Rain checks shall not be issued if a golfer begins or resumes play once advised of threatening weather conditions, or if the “No Rain Check” sign has been posted. When lightning or thunder is nearby golfers must cease play immediately and take shelter. The course assumes no responsibility for injury to any golfer(s) due to weather conditions or other acts of God. 3.4 VOUCHERS: Golf vouchers that are acquired from tournaments, volunteer programs, etc. may not be assigned, loaned, sold, or used by others and shall remain the sole property of the course. Vouchers may not be redeemed for cash, and no cash change will be given for uneven purchase amounts. Vouchers must be signed by General Manager or assignee. Guests have the remainder of the season, plus the entire following season, to redeem any vouchers. Otherwise, vouchers expire on Dec 31st of the following year. 3.5 CREDIT CARDS: The course accepts all major commercial credit cards. The course reserves the right, however, to refuse commercial credit cards as deemed necessary, or specify which cards are preferred. 3.6 PRICING: Pricing is set by course management. Management is committed to staying competitive while meeting profit goals and operating needs. Management reserves the right to modify pricing from time to time as deemed necessary. 3.7 BAG STORAGE: Golf bag storage and cleaning services are available pursuant to any written agreement. Temporary or long term locker rentals are available pursuant to written agreement with the course. 3.8 PARTIES/SPECIAL FUNCTIONS: The course, at its sole discretion, may use certain facilities for private parties, weddings, special functions and may conduct outside tournaments on the golf course on days the course is closed or at other times which may interfere with regular Guest usage. Facilities are available for public reservations, current rental rates are available upon request. 3.9 RENTALS: Certain rental services are available pursuant to written agreement with the course. Most rentals require deposits or up-front payment of rental price. Rentals include: Motorized golf cars, golf clubs, pull carts, lockers, and clubhouse banquet room. 3.10 MERCHANDISE RETURNS: Defective items may be returned for full refund of money up to thirty (30) days after purchase. Items purchased with vouchers will be refunded with vouchers. Return policy may change from time to time as deemed necessary. 3.11 SALES TAX: Sales tax has been added to posted green fees and rental fees. All other sales will have local sales tax computed and added to final sale by the cashier. 3.12 PREFERRED METHODS OF PAYMENT: The course accept most major forms of payment, but prefers them in this order: cash, cashiers check, travelers checks, personal checks, debit card, Visa, MasterCard, American Express, Discover. 3.13 GUEST RELATIONS: We welcome all suggestions, comments, complaints, etc. These should be directed to clubhouse comment box. Contact general management for sensitive issues. 3.14 LOST ITEMS: Guests should not to leave golf bags or personal belongings unattended on premises. The course is not responsible for lost, damaged, or stolen property. Unclaimed perishable property will be disposed of, as necessary. Other personal property or belongings unclaimed after ninety (90) days, will become the sole property of the course. 4.1 BOUNDARIES: Golf Course property includes the golf course, clubhouse, driving range, parking lot, and all surrounding private property. No registered player shall trespass outside the perimeter of the course, e.g., cross into resident’s back yards. Any player found to have done so may be removed immediately from the course without refund of greens fees. Players are allowed to cross designated crosswalks to continue play on adjoining holes. 4.3 PRACTICING: Guests are to use the designated areas only; driving range and practice putting green. Under no circumstances are the regular tees, greens, or fairways to be used for practice. 4.4 PLAYERS ASSISTANTS: Players Assistants are used to ensure adherence to course rules and regulations and to expedite play on the course. These Assistants have authority to ask Guests to pick up their ball in order to speed up play. Cooperation with the Assistants requests is required. 4.5 SUPERINTENDENT: The Superintendent or assigned staff may declare the course “unplayable” because of frost, heavy rains or other severe conditions. No player may subsequently begin or resume a round until the course is declared to be playable by course Superintendent. Players must leave the course immediately if instructed to do so by Superintendent or course staff. 4.6 GOLF COURSE CARE/MAINTENANCE: In conjunction with the U.S.G.A. rules of etiquette, Guests should know where they walk is allowed by the course superintendent. Guest must repair all ball and spike marks on they create on greens. Guests should make use of the sand and seed mixture on the golf cart to fill divots in the fairways and tees. Guests should attempt to minimize cart traffic in the fairways by observing the 90 – degree rule and always keep carts at least thirty (30) feet from all tees and greens. Guests should smooth sand in all bunkers and waste areas and prevent unnecessary damage to the course by removing divots when taking practice swings or by hitting the head of a club into the ground for any reason. Guests should ensure that no damage is done to the putting green when setting down bags or the flagstick. In order to avoid damaging the hole, Guests and caddies should not stand too close to the hole and should take care during the handling of the flagstick and the removal of a ball from the hole. The head of a club should not be used to remove a ball from the hole. Guests should not lean on their clubs when on the putting green, particularly when removing the ball from the hole. The flagstick should be properly replaced in the hole before Guests leave the putting green. Local notices regulating the movement of golf cars should be strictly observed. Adhering to these maintenance suggestions will keep the golf course in great condition for everyone. 4.7 RULES FOR OPERATION OF MOTORIZED GOLF CARS: The course maintains a fleet of golf cars for use by Guests only on the course and practice areas. Guests operate motorized golf cars at their own risks. Guest operators are strictly responsible for their own safe operation of the golf cars so as not to interfere with fellow Guests enjoyment of the game. At all times Guest must guard against injury to persons or damage to property, especially the playing surfaces of the golf course. The course assumes no responsibility for accidents or damage caused by Guest negligence. Guests are responsible for any damage to their assigned golf car, equipment on the golf cars, or damage to course property. Reckless driving or violation of golf course rules may result in forfeiture or suspension of the privilege of golf car usage and the privilege of playing golf on the course itself. Operators must be 16 years old and have a valid driver’s license. Operating instructions on each golf car should be read prior to usage. Golf car operators shall observe safe driving procedures at all times and must observe and obey signs, stakes, and other markers used to guide golf cars, and shall stay on golf car paths where they are provided. No more than two players and two bags shall be permitted on any one golf car. For the safety of children, close adult supervision of all minors on the course is required at all times. Please do not operate or park a golf car within thirty (30) feet of any tee, green, bunker (or their shoulders), a body of water, or beyond designated boundaries. Cars should not be parked on property owned by homeowners. Every effort should be made to avoid bare spots, wet or soft areas, and areas under repair. Guests should never drive through a hazard. Golf cars must be returned to the staging area. Any malfunctions and needed repairs should be reported to the clubhouse. 4.8 TOURNAMENTS: Tournaments should be scheduled with the course at least two weeks prior. Add-on are available that include food products and prize vouchers. Players have the remainder of the season, plus the entire following season, to redeem any tournament winnings. Otherwise, vouchers expire on December 31 of the following year. Pre-booking fees may be required, but are usually applied toward the final invoice. Golf Car rental is required for all players in a tournament unless written permission is granted. 4.9 LEAGUE & ASSOCIATION PLAY: League play must be completed within a time of two (2) hours and 15 minutes per each nine holes. Play and etiquette will be managed by published bylaws as determined by players and club president. Management reserves the right to modify play as needed. 4.10 GOLF HANDICAPS: Handicaps are computed in accordance with the current USGA Handicap System. Members are responsible for the accurate reporting of their scores following each round of golf. All scores are subject to review by a official to determine any violations. 4.11 DOGS AND PETS: Pets, especially dogs are not allowed on the course at anytime. Pets will be removed and turned over to Weber County Animal control immediately. Owners of pets will be responsible for any damages caused by their pets. 4.12 LAKES AND PONDS: No fishing, swimming, playing in, or retrieving of golf balls shall be allowed in or around lakes and ponds. 4.13 DRESS: All Guests must wear shoes, shirts, and maintain proper attire while on the course or in the clubhouse. Only soft spikes or rubber soled athletic shoes are permitted on the course grounds or clubhouse. 4.14 MOBILE PHONES: Guest should respect others during play and practice by shutting off loud ringers. Please stay well back from tees and other hitting areas when talking on phones. 4.15 LIGHTNING: Guests are expected to exercise reasonable prudence and common sense when severe weather, especially thunder or lightning, is reported or observed in the area. During severe weather Guests are required to leave the golf course and seek appropriate shelter. 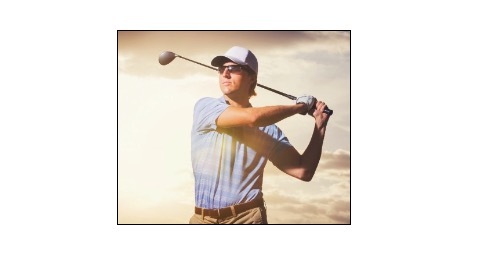 Guests assume all risk of injury while on the golf course due to lightning or other adverse weather. Management may suspend or cancel any tournament or scheduled play if weather conditions create a clear and present danger of personal injury or death. Raising golf clubs or umbrellas above the head increases the risk when lightning is near. Avoid open areas, water, metal wire fences, overhead wires and power lines, isolated trees, elevated ground, maintenance machinery and golf cars (golf cars are not lightning proof). Seek the Clubhouse, maintenance buildings, automobiles or other buildings. 5.1 GENERAL RULES: Each Guest must register and have their own set of clubs. Only soft spikes are allowed on the golf course turf. Shirts and shoes must be worn at all times. USGA and local rules govern play on the golf course. Golfers must play only one ball during rounds; hitting practice balls is allowed only at designated practice range or practice green. Playing more than one ball or practicing during course play is prohibited. Follow cart signs, repair ball marks on the greens, replace divots and rake bunkers. Obey all signs and supervisors, including Players Assistants. Golf Cars are allowed on the fairways, maximum of two riders per golf cart. Carts shall be driven on specific golf car paths whenever possible and shall remain 30 (thirty) feet from greens and hazards and off all tee box areas. All players shall start playing only at number one tee unless specifically authorized to start at another tee by the Golf Starter, and shall not play at any time until the players ahead are out of range. Golf Starters shall properly space golf groups (approximately every eight minutes) to ensure speed of play and safety on the course. Do not tee off or hit into other players or maintenance personnel. Follow rules of “Ready Golf” to keep pace of play flowing. Observe all out of bounds markers and property lines. Every person must obey the directions of the Course Superintendent, PGA or Teaching Professional, Player’s Assistants and Tee Starter with reference to order of play, practicing and behavior on the grounds. All leagues, tournaments and special events shall be scheduled with management. No Guest shall golf a round in a group larger than a foursome, that is, containing no more than four persons. No Guest shall approach or otherwise hit a golf ball onto or towards a green when in close enough proximity for the ball to hit players still on the green or after a golf course employee has removed the flag on the green for maintenance purposes, and shall not approach or hit the ball until the flag has been reset and the player or golf course employee is off the green. 5.2 “READY-GOLF”: Guests should be ready to play as soon as a safe shot can be made, irrespective of who is closest to the pin. Simultaneous shots are allowed if there is no possibility of ball collisions. It is essential that speed of play is not delayed. Guest should pick up their ball when they can no longer score better than three over par on a hole. It is a group’s responsibility to keep up with the group in front. If a group loses ground on the group in front, therefore delaying following groups, following groups should be invited to play through. When playing on or near the putting green, players should leave their bags or carts in such a position that enables quick movement off the green and towards the next tee. When the play of a hole has been completed, players should immediately leave the putting green. Players should not mark scorecards until the next tee. The first guest to tee off should mark scorecards after tee-off. If a ball is lost or is out of bounds a provisional ball should be played to save time. Players should not search more than five minutes before moving on or waving through following groups. Guests should keep an extra ball available, to eliminate the need for walking back to bags or car when a provisional ball is needed. When on the green, Guests should “putt out” whenever possible instead of marking the ball. The first person that “putts out” should tend and replace the pin for other players. Watch other shots, as well as your own, to help pinpoint the position of their ball and try to identify the finishing position by using a nearby tree or landmark. Offer to rake the bunker for groups ahead so they can play their next shots quickly. Guests should refrain from giving play instruction on the course, that is what the driving range and practice green is for. Anticipate the club or clubs you may need and go directly to your ball. Study and clear the line of your putt while others are doing the same. If possible, repair ball marks and divots while waiting for other players. When approaching a green, drive your golf car to the side or rear of the green on the best direct path to the next tee. Do not leave the golf car in front of the green where you will have to go back to get it. 5.3 SUPERVISION OF PLAY: Course staff, including Players Assistants, Superintendent and clubhouse starters, acting under the supervision of the General Manager, have the responsibility for supervision and control of all matters relating to play on the golf course. Privileges may be refused to anyone who violates any of the rules and regulations, policies, procedures, the rules of play, etiquette and/or dress code. Responsibility for such supervision may be delegated to PGA or Teaching Professionals, Tee Starters, Players Assistants, or other individuals designated by the General Manager. 5.4 GOLFER’S ETIQUETTE AND OTHER CONSIDERATIONS: Guests should always show consideration for other players by not disturbing their play by moving, talking or making unnecessary noise. Guests should ensure that any electronic or noise making device taken onto the course does not distract other players. Guests should not tee the ball until it is his or her turn to play. Guests should not stand close to or directly behind the ball, or directly behind the hole, when a player is about to play. On the putting green, Guests should not stand on another player’s line of putt or, when he is making a stroke, cast a shadow over his line of putt. Players should remain on or close to the putting green until all other players in the group have holed out. Avoid stepping on the hole when retrieving your ball. In stroke play, the person acting as a marker should, if necessary, check the score with the player concerned and record it. In the case of a serious breach of etiquette, Guests may be asked to leave. 5.5 SPIRIT OF GOLF: For the most part, golf is played without the supervision of a referee or umpire. The game relies on individual integrity to show consideration for other players and to abide by the Rules of play. All players and guests should conduct themselves in a disciplined, courteous, and sportsmanlike manner, irrespective of how competitive they may be. The course may adopt and publish policies from time to time relating to various matters. Most policies are incorporated into these Rules, Regulations, Policies, and Procedures. Others are published in the newsletters or posted in clubhouse. Each Guest has a duty to keep informed of and abide by policies as published.